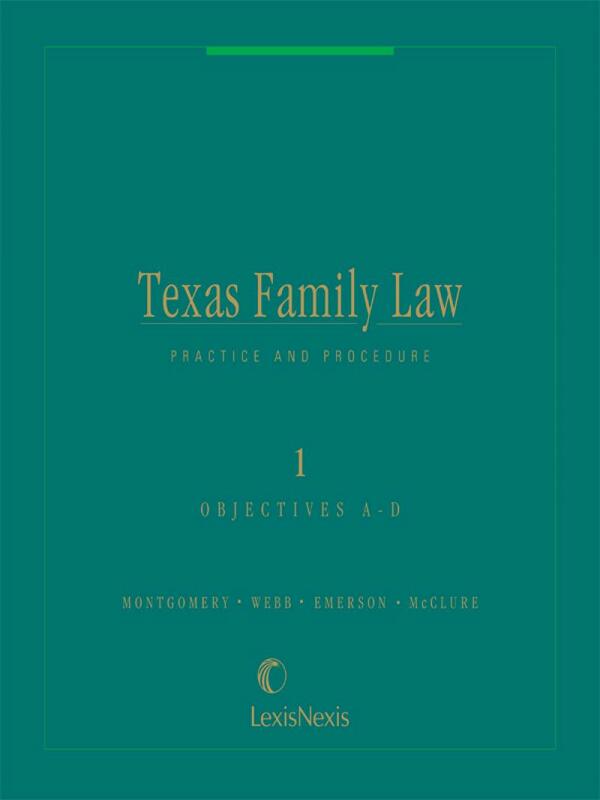 Combines both substantive and procedural explanations of Texas family law with practical tips and forms from leading Texas family law practitioners. Texas Family Law Practice and Procedure combines both substantive and procedural explanations of Texas family law with practical tips and forms from leading Texas family law practitioners. It is a more authoritative, in-depth publication than the competing West product. 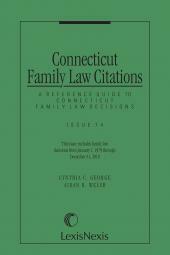 These volmes provide task-based pointers and leading legislative and case analysis. Texas family law attorneys and their research staffs will appreciate unmatched coverage of the issues and legal expert guidance for completing any transaction involving Texas family law. 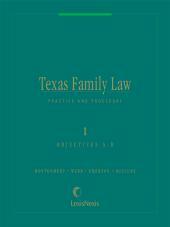 Uniquely organized by attorneys for attorneys, Texas Family Law Practice and Procedure is a primary resource for locating case and statute citations, accessing various family law forms and reviewing practical commentary. Information is organized in the same, familiar format in which attorneys practice. Objectives are presented followed by specific tasks required to achieve them. 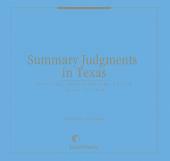 In addition, each delineated task includes references to the most current and useful State Bar CLE materials, legal periodicals, and ALR Annotations. This convenient organizational method saves countless hours while providing relevant information on the subject at hand. Texas Family Law Practice and Procedure's practical organization, along with its comprehensive scope, affords the user increased precision and accuracy when preparing for transactions and litigation under any circumstance involving Texas family law. Brian L. Webb, Esq., has practiced family law in Texas since 1975. 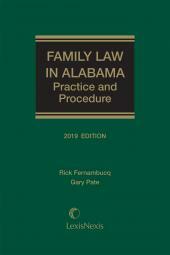 He has been Board Certified in Family Law since 1980. He has served as President of the Texas Academy of Family Law Specialists and the Texas Chapter of the American Academy of Matrimonial Lawyers, and as Chair of the Family Law Section, State Bar of Texas. Sally Holt Emerson, Esq., is a shareholder in the Amarillo law firm of Underwood, Wilson, Berry, Stein & Johnson. She is Board Certified in Family Law, and has served as Director of the Texas Family Law Council and as Chair of the Texas Board of Legal Specialization. Justice Ann Crawford Mclure, 8th District Court of Appeals, El Paso, Texas, has been Board Certified in Family Law since 1984 and Board Certified in Civil Appellate Law since 1987. She has served as the Chair of the State Bar of Texas Family Law Section (1997-1998) and the Chair-Elect for the Appellate Section (1999-2000).